Built in 1859, Christ Church Cathedral is a designated national and provincial heritage site – a superb example of Gothic Revival church architecture – which attracts tens of thousands of people each year. Tourists come not only from Quebec and other provinces of Canada, but from all over the world. People come for many reasons: to take in the Montreal sights; to learn about history and culture; to see a beautiful architectural building. Christ Church Cathedral is listed in the top 10 historic sites in Montreal in many guide books and appears on the front cover of the UK Automobile Association guide book to Montreal. 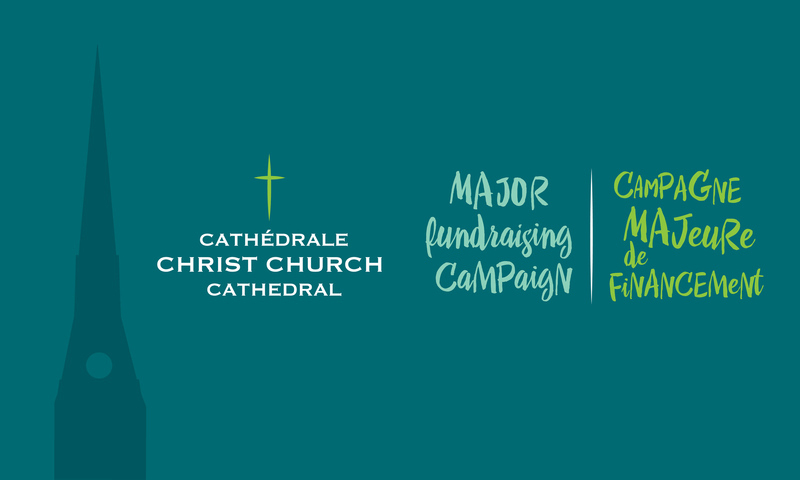 Please donate to the Christ Church Cathedral Fundraising Campaign today. Over the year, thousands of people attend the popular free-entry weekly concert series L’Oasis Musicale. Its 70 concerts a year put Christ Church Cathedral among the top 3 Montreal venues offering free concerts. In addition, each year the Cathedral participates in a broad range of cultural events, including Montreal’s Journées de la culture and Nuit Blanche (attended by around 5000 people each year), film screenings, lectures, and other illuminating church-planned activities and gatherings. For more than 100 years, the Christ Church Cathedral Social Service Society has been an important part of the Cathedral’s life, work and mission, helping Montrealers in need. The Last Sunday of the Month Lunch program, started in 1982, now serves hot and nutritious meals to some 250 people each month. Today, the Society partners actively with the Cathedral on specific challenges: homelessness, caring for the elderly, sponsoring refugee families, and filling the void in social service for Montrealers confronting hardships. The doors of Christ Church Cathedral are open 7 days a week, and everyone is welcome. Almost two dozen worship services are held weekly in English and French, some accompanied by organ and choir. In addition, hundreds of people come for help in the course of the year: they might need someone to talk to, or food, or money, or prayer, or absolution. Every day a priest is available, and such encounters happen almost daily. Some people come and we never know why. Some sleep in the safety of the Cathedral grounds. To find out more about Christ Church Cathedral, click here.